I largely agree with Knapp that these new warning labels are unlikely to significantly reduce the number of smokers. 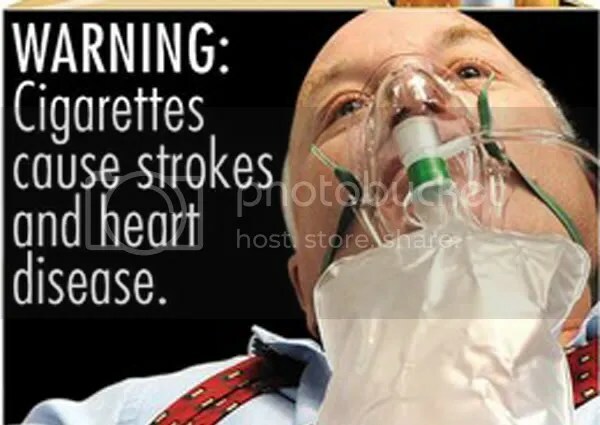 The adverse health impacts of smoking are widely known, and it’s unlikely that these warning labels will significantly reduce the perceived “glamor” of smoking. Speaking as a 22 year old American, I’d say that smoking generally is not seen as attractive by my age group, though of course this varies by subculture. In my experience, young Americans begin smoking for the stress-reduction of nicotine and because their friends do, not because it’s presented as attractive in the media. Unlike media presentations of smoking, these influencing factors are not likely to be responsive to FDA anti-tobacco efforts. While this trailer superficially depicts smoking as glamorous, it’s in a completely joking way. Serious depictions of smoking as glamorous or cool are so rare that media representation is likely not an important modern determinant of youth smoking rates. 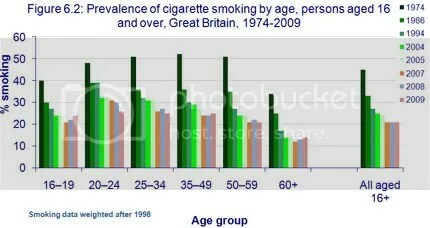 While depicted data is from the UK, the situation is similar in the US – most of the people who smoke today are unlikely to be influenced by public health policymakers to quit. This suggests that any future increases in cigarette taxes would be a net social loss and should be avoided: they would be unlikely to significantly reduce smoking rates, and because cigarette taxes are highly regressive would penalize the poor without any clear social gains. This doesn’t mean FDA warning labels types of public health social engineering efforts are worthless, but we should have realistic expectation about their effectiveness. And many never bother to find out either. As such, the gruesome labels – even if only effective in small numbers, are necessary. Heck, even if it can save just one life, it will be worth it.